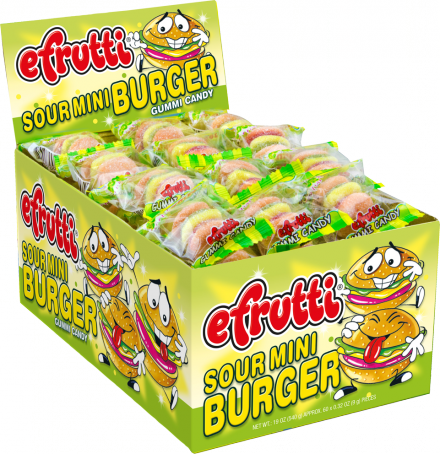 Gummi Burger Sour Mini from E. Frutti, delightfully detailed burgers made of sour fruit flavor chewy gummi candy. 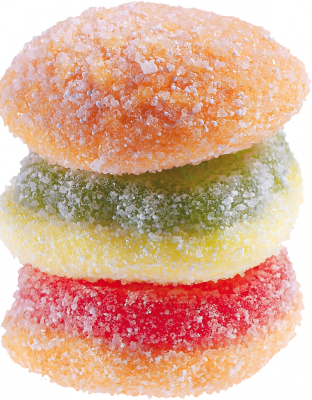 A whimsical, delicious treat for all ages! Perfect for Halloween, parties and promotions. 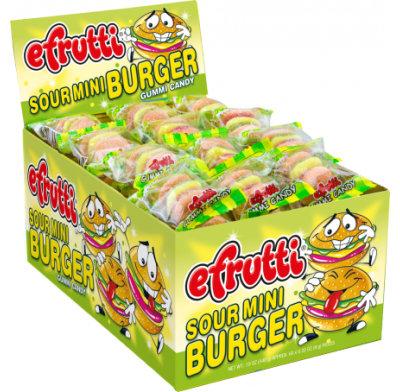 Sold in bulk, 60 pieces per pack.